These shoes will get a lot of attention! 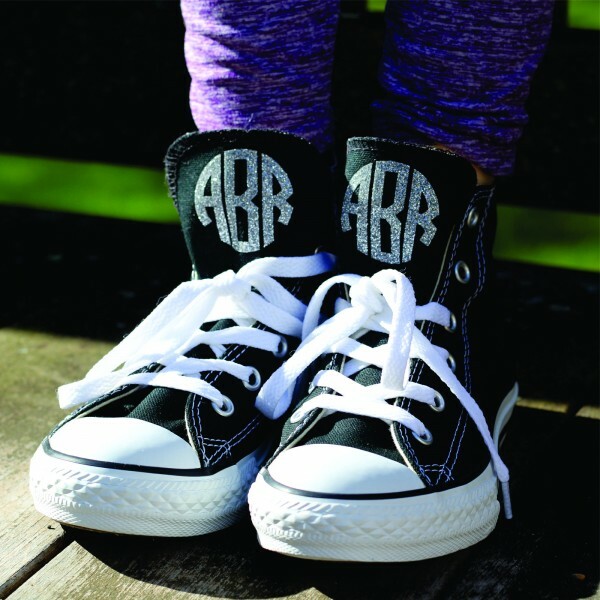 Monogram your Converse® high tops in your choice of glitter! 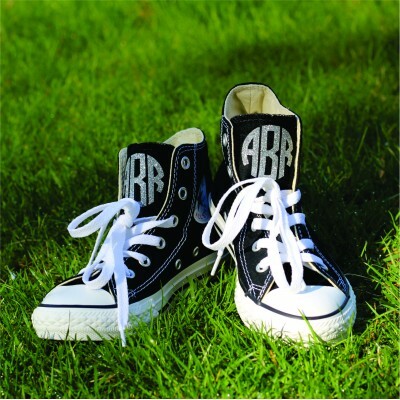 Monogram can be placed on tongue or outer side of shoe, or both! There are a few more options for the side of the shoe since there is more space there. If you choose to add a design in both places they will be done in the same color. Please note that these CANNOT be exchanged or returned and be sure of the size you need before ordering. Turnaround time is 2-3 weeks but we will do our best to ship them as soon as we can! If you are interested in a custom design not shown on the site please email me at [email protected] Additional charges may apply. If you are interested in a shoe color we do not offer or would like to check sizing before ordering you can ship your own shoes to me. You will only be charged for the monogramming and return shipping. Please email [email protected] to make arrangements. We recommend using a shipping service with tracking and you will be responsible for the cost of shipping to me.